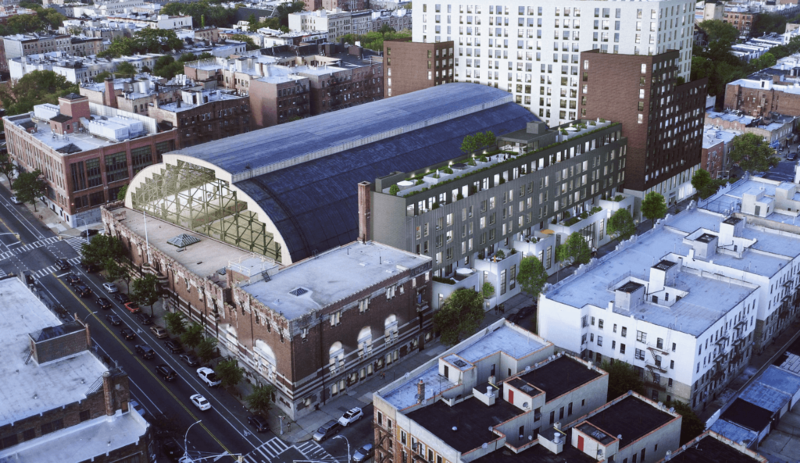 Amid growing opposition, the proposed Crown Heights Bedford-Union Armory redevelopment project began its evaluation by the City Council at a hearing Tuesday on land use applications filed by the Economic Development Corporation (EDC), amNewYork reports. 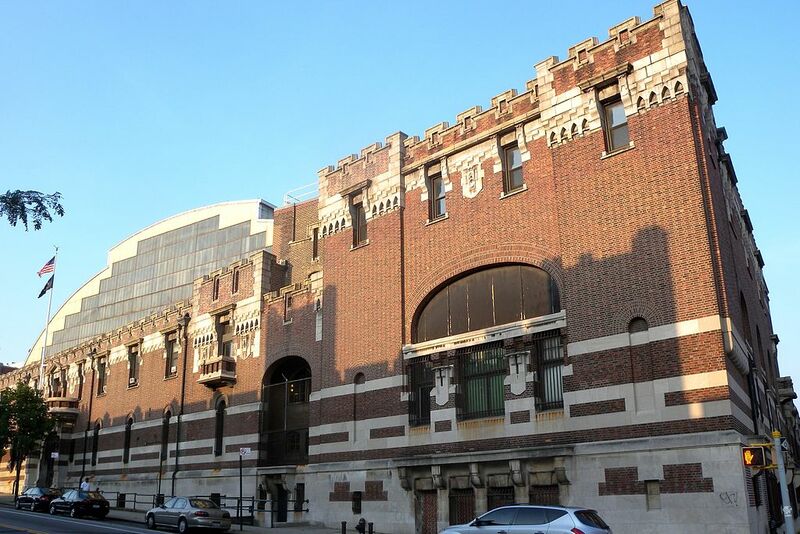 The massive armory, once housing for the National Guard, became city property in 2013. The EDC plans to sell the property to developer BFC Partners for the creation of 56 condos, of which 20 percent would be income restricted. The remaining market rate condos would help pay for the rest of the project, which would be leased by BFC Partners and would include 330 rentals (165 affordable), office space and a recreation center. Critics say the city is setting a dangerous precedent by leasing public land for private use, especially when market-rate condos are included. The de Blasio administration has championed the recreation center and housing, but the plan has has come under fire by neighborhood advocacy groups and has had an uphill battle in achieving the City Council approval it needs. Legal Aid Society attorney Judith Goldiner said the project does little for neighborhood residents who are suffering from the effects of gentrification, including rising rents.“Land that is fully owned by the public should serve an exclusive public purpose,” Goldiner said. Even if the subcommittee approves the project, more legislative hurdles, including a full City Council vote, lie ahead. Community group New York Communities for Change and others are hoping that the project is nixed altogether, so it can be replaced by a plan that gives development oversight to a nonprofit who can establish community control via land trust and offer 100 percent affordable housing units. The armory has been vacant since the EDC purchased it in 2013.